What is FYE at Washington Adventist University? The First Year Experience (FYE) program is designed to help new students learn the Washington Adventist University culture, adjust to the new academic challenges of higher education, and master the rigors of college life. The program is a university-wide effort to orient new students to the WAU campus and help them quickly feel they are an important part of the community as they learn how to be a successful college student. The program combines thoughtful instruction, cooperative learning, experiential activities, and spiritual support in a small class setting to provide new students with a great beginning at WAU. 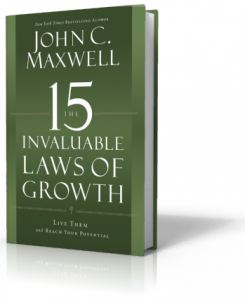 This year the book The 15 Invaluable Laws of Growth by John Maxwell will be the foundation for developing strong personal habits that are foundational for college success and continued lifetime success. By applying the ideas in this book. FYE students will have the ability to refine their purpose, validate their potential, and be intentional about growing into their best self-possible. 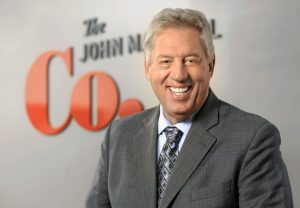 Our 2018 cohort is the first to be a part of a seminal university leadership growth intuitive, where John Maxwell’s leadership coursework will be a part of the curriculum giving students an added opportunity to gain a certification in leadership provided by the Maxwell organization. The Gallup Strengths Inventory will give the students their top five talents and FYE will provide opportunities for each student to know how they can grow those talents into strengths. Campus experience and co-curricular programs focusing on networking, building relationships, integrating theory and knowledge into skills for career development will be provided giving each student an opportunity from the very beginning of their college experience to see how each step leads to a life devoted to service. New Student Orientation: a week of experiences designed to help you learn what to expect academically, how to navigate campus, and where to find things, including campus resources and support services. FYE Class: a one credit-hour class taken during the first semester that teaches new students foundational skills needed to adjust to college life, learn the importance of critical thinking, and develop a strong cohort of peers. FYE Common Reading: a book chosen to engage, enlighten and encourage new students is assigned as summer reading. In the first few weeks of the semester, students will deliver class presentations based on their common reading book assignments. FYE Activities: student engagement opportunities completed throughout the year consisting of a variety of activities including workshops, off campus outings, networking, and new experiences. FYE Academic Enhancement: provided by a collaborative effort between the Betty Howard Center for Student Success staff, academic department tutors, and the FYE coordinator, to help students manage the challenges of college classes. What FYE can do for the new WAU student? Teach skills that will enhance college success. Help forge connections with faculty, staff and peers. Provide a strong since of belonging in the WAU community. Create challenges to see the world in a different way. Provide opportunities to grow intellectually and spiritually. The transition to college can be challenging, confusing and difficult. Those first weeks can be filled with questions and unknowns. The FYE program at WAU equips new students with the knowledge and skills to find answers to their questions and empowers them to be successful. Beginning with the first days of New Student Orientation, the FYE team members engage students with a multitude of experiences that help stimulate focus and determination to be a successful student, all the way to graduation. The foundation of the FYE program will make the new student experience the adventure of a life time. Find us in person at the Betty Howard Center for Student Success in Wilkinson Hall, Room 133. This year we have an exciting new program called STEM University(STEM U), designed for students majoring in the following STEM fields: Biology, Biochemistry, Chemistry, Computer Science, and Mathematics. For more information, please check out our webpage.